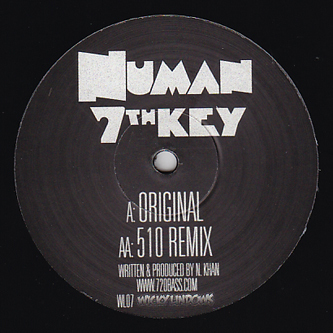 Nu-skool D'n'B and Breaks inspired dubstep from Numan backed with a 510 remix. The original slots into that skool of twisted synthline excess forged by Bar 9, Nero and co. shredding metallic-edged riffs like Steve Vai but guaranteed to induce madness in a room full of 18 year old dubstep ravers. 510's mix on the flip sounds like a tougher version of the Purple wow sound developed by Joker, Guido and their mates, sparking flashes of jazz-fusion riffage inside a harder dubstep rhythm.